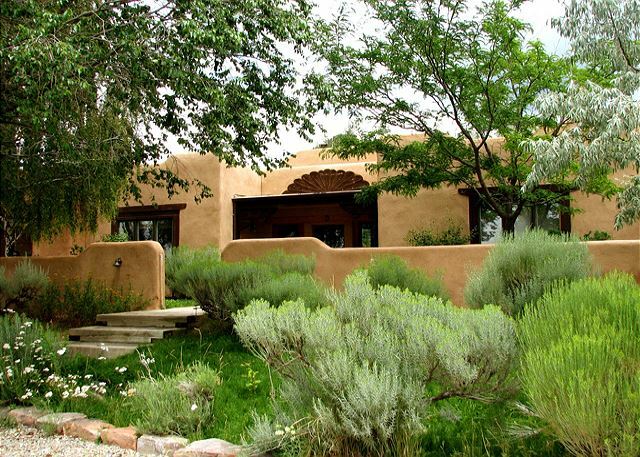 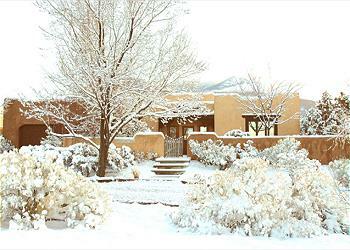 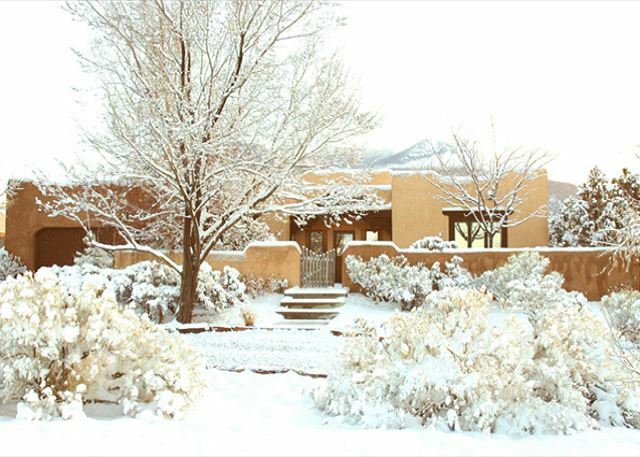 Casa Miguel, luxury adobe view home, in the beautiful Los Altos community of Taos, New Mexico is located on Taos Ski Valley Road. 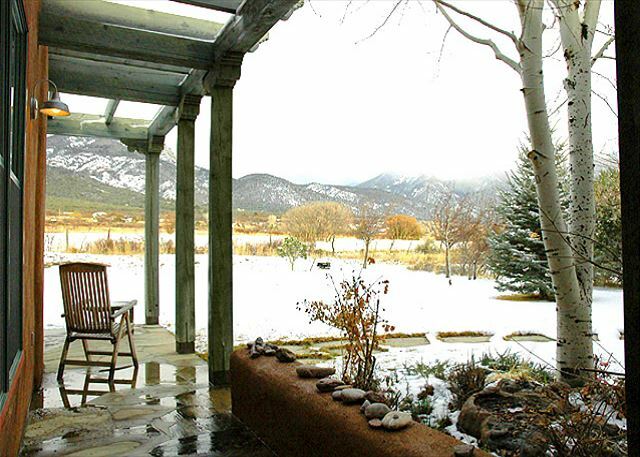 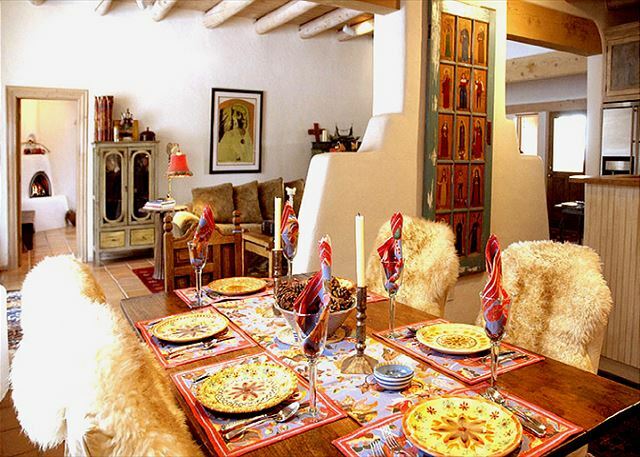 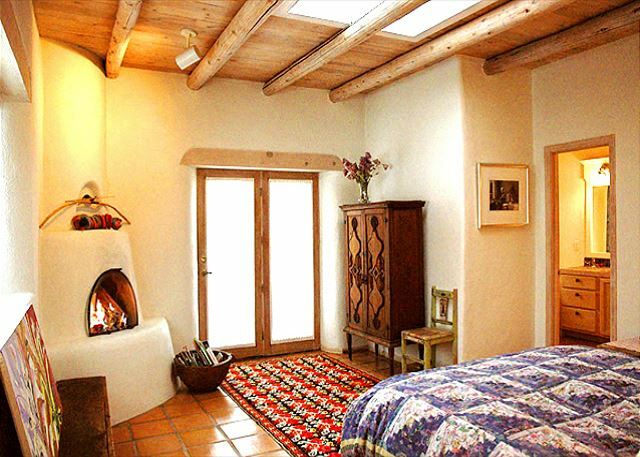 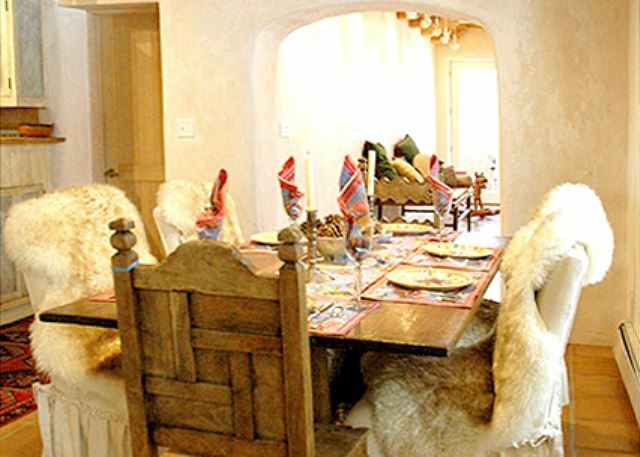 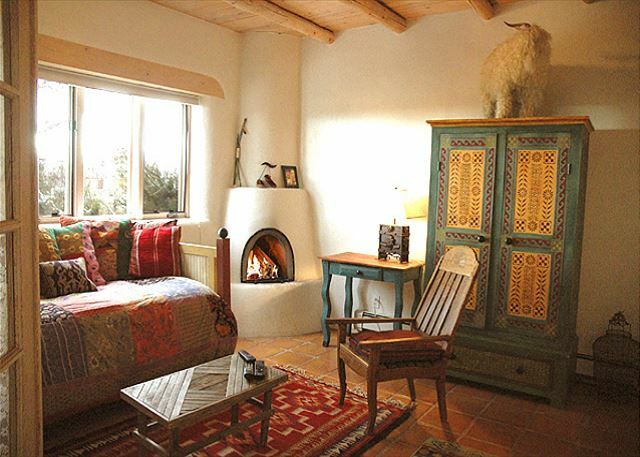 This Taos vacation rental home is beautifully furnished with a mix of local and imported hand crafted southwest furniture. 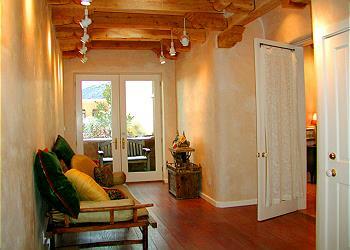 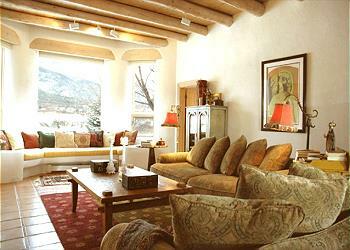 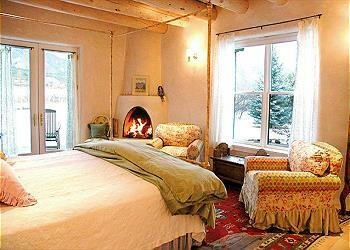 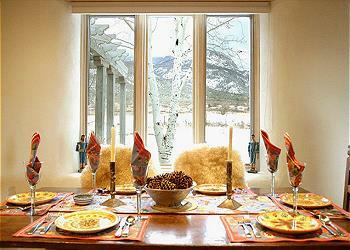 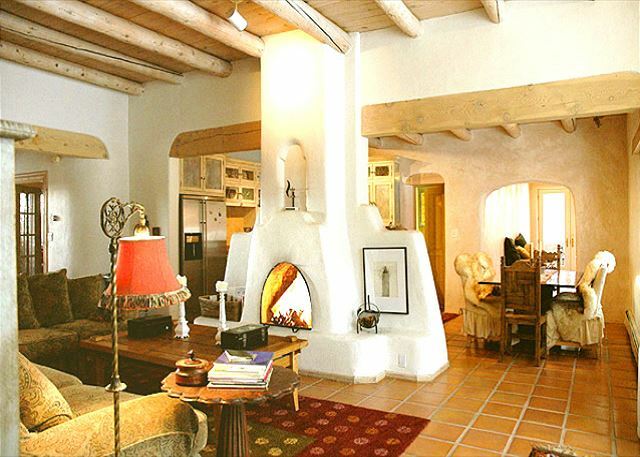 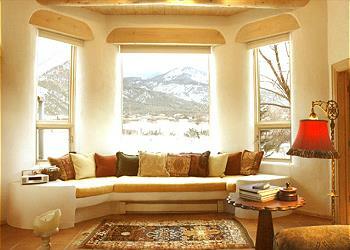 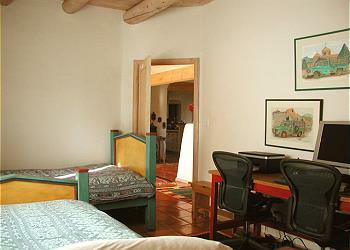 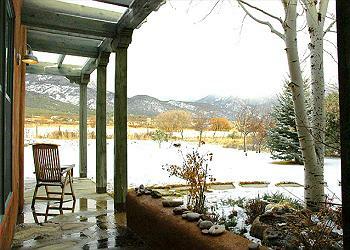 The living room has magnificent views of Taos mountain and an inviting romantic central kiva fireplace. 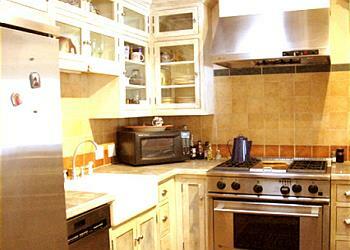 For those who love to cook the kitchen is furnished with new top of the line appliances. 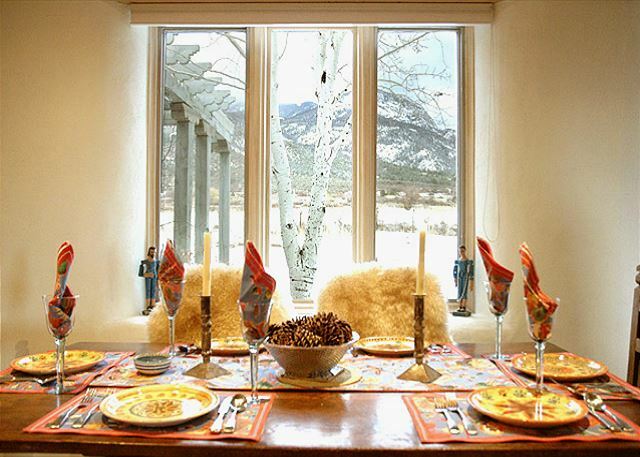 With some of the best views any table in Taos has, you can look out the windows and marvel at the mountains while enjoying your meals from the dinning room table. 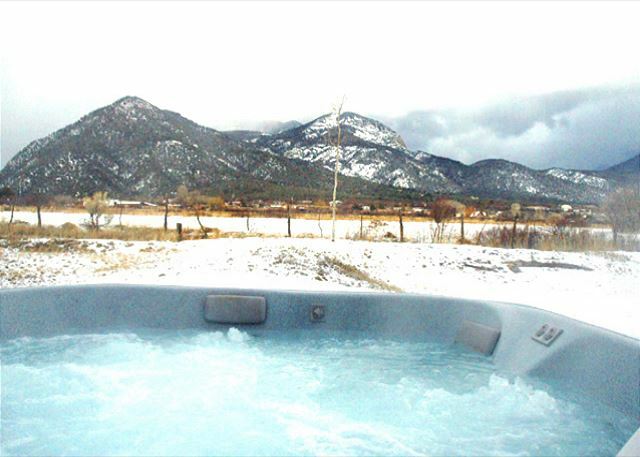 If you're looking to enjoy the unprecedented starry sky night time views there is a lovely patio with fire pit to keep you warm while you're gazing up at the sky. 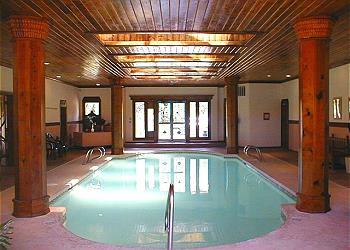 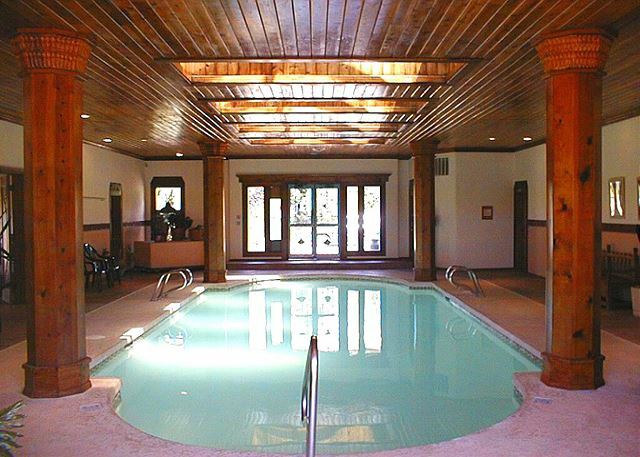 This 4 bedroom and 3 bathroom upscale home, sleeps 8 people. 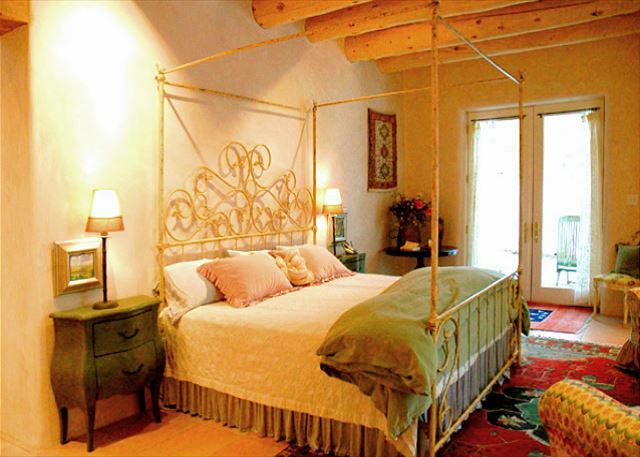 The master bedroom, situated on the opposite side of the house from the other 3 bedrooms make it an extremely private getaway. 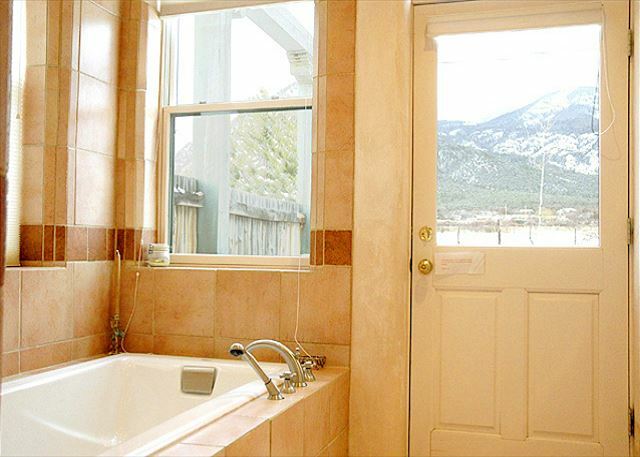 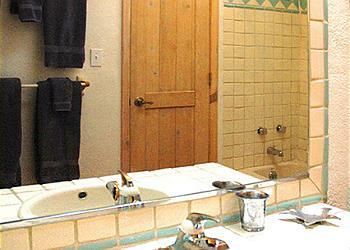 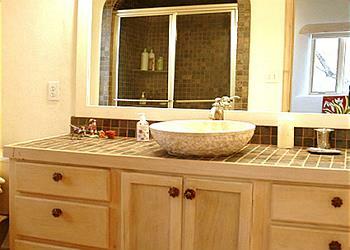 The master bathroom features a large bathtub with great views of Taos mountain. Amenities include a well equipped gourmet kitchen, DVD, CD player, satellite TV, washer and dryer. 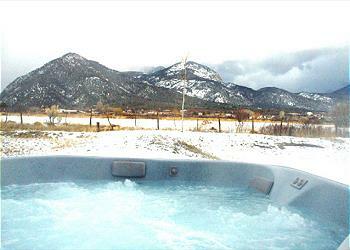 A patio with a gas grill, 6 person Hot Tub and exquisite mountain views.